Many of us decide that, come the new year, we are going to do everything we can to be a better, healthier and happier person in the 12 months to follow. The festive season leaves many of us with dull, dry complexions – the result of too much wine and too many mince pies. That, coupled with a reduction in our usual exercise, late nights and the dehydrating effect of central heating, and our skins can look anything but dewy and fresh. That’s without taking into account the effect of stress on our skin – and who leads a completely stress-free life? 5 top resolutions for having glowing skin in 2018. Dr Ejikeme is an NHS Medical Consultant and a highly experienced aesthetic medicine doctor with extensive global training in medicine and surgery. In order to get and maintain a nice healthy complexion, it is essential to re-hydrate constantly, with at least 2 litres of waters per day and by eating water rich foods. Your lighter face creams should be swapped in for richer night creams and oils to really keep your skin hydrated. Try Image Skincare Vital C Hydrating Repair Creme. By exfoliating regularly you encourage a more even fade compared to the natural exfoliation that happens over time, it also allows moisturisers and oils to reach deeper into the skin for better effects. Exfoliate the skin 2 or more times a week for best results for removing dead skins and aiding circulation. The motivation to exercise is often less in the winter months – however it is essential. Movement enables lymphatic drainage and constant circulation which then enables skin to be energised and glowing. Exercising 3-5 times a week will help maintain your overall health, as well as youthful, healthy skin. 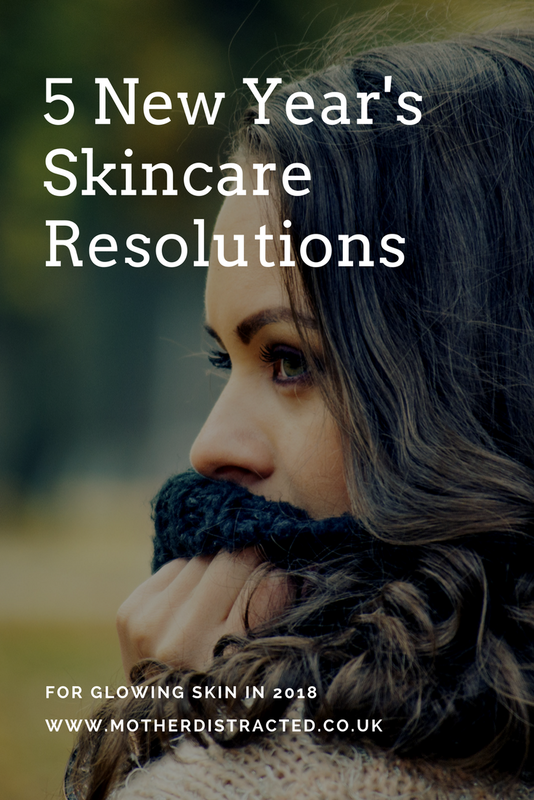 The cooler months at the beginning of 2018 are more likely to encourage skin problems, such as eczema or dermatitis, to flare up it is important to avoid anything that worsens this. Avoiding allergens and irritants such as chemical laden detergents will help prevent these problems. Using moisturisers designed for your specific skin type will also improve skin quality. Using luke-warm water instead of hot water to shower, bath or wash your face will benefit your skin by preventing any essential oils and moisture being stripped from the skin. Luckily there are plenty of excellent skincare products to suit every budget these days, as well as many great guides to skincare in your local bookstore. "Why Over 50’s Women Lead The Solo Holidays Pack"
"The ONE Thing That Will Definitely Scupper Your New Year’s Resolutions"
I definitely need to put more effort into my skincare routine, it really is basic at the moment, so I really need to invest in some hydrating products in line with Dr Ejikeme’s advice! I have just started a new exercise regime, which will hopefully help my skin no end! I’m tryinng to drink more water at the moment as my skin has been a bit meh, it really does help. This is something I need to do more, all part of my new self-care goal. Thank you for sharing these products. I love to expoliate my skin, but do not do it too much because I have sensitive skin. I love any product that hydrates my skin. I need to up my skincare game this year, in fact, I need to find time to take care of myself this year, full stop!! I never knew you’re advised to use luke warm water when washing your face. I always either have cold or boiling hot! I love The Ordinary products. Cheap but really good! I know it’s later in the year but I’m really struggling with my skin. Don’t know why it won’t clear up and it’s so dry no matter how much I moisturise it!